I’ve always been curious about the night sky – wanting to know more about those twinkling stars that shine down on us. Living in a big city, there are stars, but with all the lights, its impossible to really see the celestial heavens. But head far away from a city and the sky reveals itself. In Lion’s Head on the Bruce Peninsula, this small town is a designated Dark Sky Community, working on preserving the access to see the beautiful night sky. 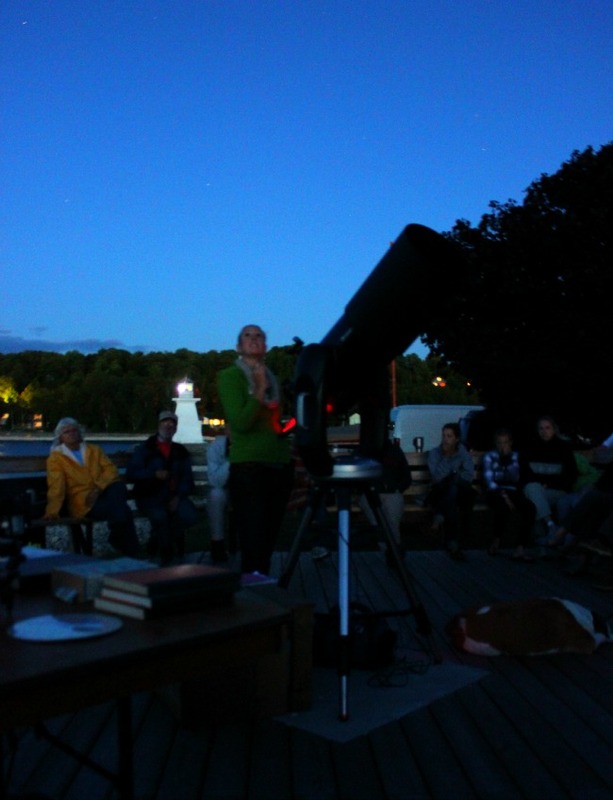 During the summer, the Bruce Peninsula Biosphere Association offered a weekly opportunity for anyone to come learn about the heavens. The association brought their massive telescope and locals would bring their telescopes and everyone would learn more about the sky, stars and planets. I loved finding out that everyone was just as curious – and all had small bits of information, learned from school or an article read in the past. Learning about how to find Polaris (the North Star), the Little and Big Dippers and the Milky Way seemed like a magical revelation among the hundreds of stars. As the sky grew darker, the night sky was showing off – as the colours of sunset disappeared and the bluesky deepened to indigo and navy, I kept my eyes on the changes. Another person spotted a satellite and we watched it as it moved quickly past the stars, rotating around the earth. But the best moment? It was seeing the planet Saturn. The sixth planet from the sun and the one with rings – it almost seemed unreal, like it couldn’t exist. Despite seeing photos in books, television programs and documentaries, I couldn’t fathom I was looking at the planet Saturn. But there it was, up in the heavens for all to see (thanks to a powerful telescope). I felt like I’d been given a reminder of our place in the universe – we’re not alone.